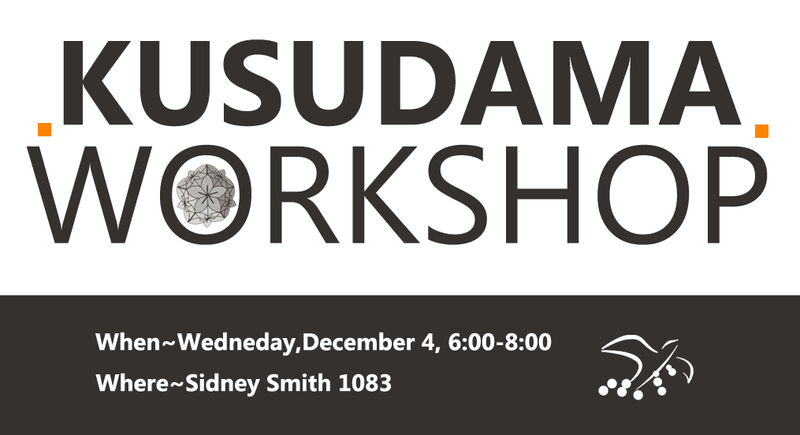 Michael Liu, our Secretary, will be hosting a kusudama workshop on Wednesday December 4th from 6p.m – 8p.m at SS1083. He will be teaching how to fold and combine basic kusudama models as well as introducing his own models during this workshop. This will be the LAST workshop of the year! See you all there!